So what exactly is the team behind EOS trying to accomplish? But along with all the hype and excitement about EOS, there’s also a large amount of skepticism coming from the crypto community. It will be a software that will act as a decentralized operating system. Developers can then build applications on the EOS software. It will be highly scalable, flexible, and usable. The most notable feature that everyone is getting excited about is horizontal scalability — what this means is the EOS blockchain will be able to allow parallel execution of smart contracts and simultaneous processing of transactions. This could be a game changer because this would really set EOS apart from all other platforms currently out there that can’t do this — and never will be able to do this — without a complete rebuild. 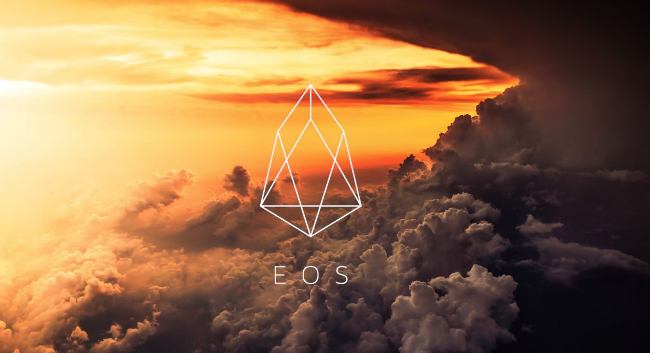 EOS will incorporate the delegated proof-of-stake (DPoS) consensus protocol, created by founder Dan Larimer himself. This system is less centralized, uses far less energy, and is incredibly fast — as in, up to millions-of-transactions-per-second fast. Furthermore, there will be no user fees on the EOS blockchain. This would also set them apart from the competition and could help them gain more widespread adoption of their platform. EOS also wants to put a blockchain constitution in place to secure user rights and enable dispute resolution. If the EOS team can really pull off all of these promises, it would be hugely successful. But until they have something to show, this all remains just a vision. The CTO is Dan Larimer, a very familiar face in the cryptocurrency world. Larimer launched the decentralized exchange Bitshares, as well as Steem, a social media platform built on top of blockchain technology. Brock Pierce, who created the first ICO token, Mastercoin (now known as Omni), is a partner. Ian Grigg is a partner as well as the financial cryptographer. Thus far, EOS has made huge claims with no actual substance as of yet. They have not fully explained how they plan on achieving the impressive list of features their platform will boast. Moreover, many believe Dan Larimer hypes up his projects with clever marketing and makes audacious claims, then doesn’t see them through — he left both Bitshares and Steem. Nonetheless, others argue that both of these companies have been successes and therefore we should have faith in Larimer. The EOS team will need to deliver an actual working product to assuage the fears of both investors and the public. First of all, United States citizens, residents and entities cannot purchase EOS tokens. The same goes for those from the People’s Republic of China. Tokens are available for purchase from June 26, 2017 to June 18, 2018. To participate, first you will need to have an Ethereum-based wallet with some ETH in it, like MyEtherWallet. Then simply go to Eos.io, scroll down and click on “GET EOS”, review and agree to the conditions, then click Continue. Next, copy the Ethereum address for the token distribution and go to MyEtherWallet, where you go to “Send Ether & Tokens”, paste the address and put in the amount of ETH you want to send, and generate the transaction. In about 24 hours you will be able to claim your tokens, and then you should register to claim the native EOS tokens once the ICO sale ends. It’s a bit confusing, so check out this thorough step-by-step tutorial. At this point in time, it’s too early to tell whether EOS will deliver on their promises. If they manage to create a blockchain with all of the impressive features they claim it will have, EOS will surely be a huge competitor to Ethereum. Until then, investors can only rely on block.one’s word that they will develop something great one day. Nice article. “The CTO is Dan Larimer, a very familiar face in the cryptocurrency world. Larimer launched the decentralized exchange Bitshares, as well as Steem, a social media platform built on top of blockchain technology.” <- This is a big reason I'm into EOS. Lot's of promise from a great team.